World Cup qualification (WCQ) is always a long haul. For Trinidad, their road to Germany began in the summer of 2004 and ended in the winter of 2005 with 20 games sandwiched in between. The crux of this region’s WCQ is at the fourth round, also known as the “Hex”, as six teams are pitted against each other with four spots up for grabs, one of which a play-off. Trinidad were looking like credible candidates for finishing in fourth and thus clinching that play-off position with one set of matches remaining. Here were the permutations: as long as the Soca Warriors overcame Mexico they would be assured of not crashing out, with Guatemala right behind them ready to pounce. Guatemala won that day against Costa Rica, however, it didn’t matter as Trinidad got the job done versus the Mexicans inside a packed Hasely Crawford Stadium in the capital, Port of Spain. Stern John levelled prior to the break following an audacious Jaime Lozano opener for the visitors, before John was there again outside the penalty box to lash home. The passionate home crowd exploded with happiness as the final whistle blew. Trinidad had secured fourth spot and would meet Bahrain of the Asian Football Confederation (AFC) in a two-legged play-off, first on home soil. In front of another crammed Hasely Crawford Stadium – the attendance just underneath 25,000 – Trinidad welcomed a Bahrain side that had also never featured in a World Cup. They were a good test, though, and Chris Birchall was the hero as his 76th minute strike salvaged a draw. Four days later in Manama, they met up again for the second leg and this was make or break. It was full of tension, nerves and fierce tackles. Backed by a noisy group of Trinidadian supporters, the visitors held their own in the first half and it was all square at the interval. But Trinidad made a brilliant start to the second and, following a Dwight Yorke corner from the left, colossus Dennis Lawrence rose highest to head home and send his country into delirium. Then-Wrexham defender Lawrence’s last goal prior to that was a month ago, against Bristol Rovers in a League Two game. Now he had just sent the Soca Warriors to their first ever World Cup. Apparently, the head of the Government, Patrick Manning, interrupted a speech in order to declare November 17 a public holiday. This is what it symbolised. So it was confirmed: Trinidad & Tobago were heading to Germany to compete in the World Cup finals. As you can no doubt imagine, the fact Trinidad were going to play in a World Cup very much struck a chord with not just the country’s people but the whole of the Caribbean. A nation from this region had not qualified for the tournament since 1998 when Jamaica traveled to France, before that it was Haiti in 1974 and Cuba were the first to make it back in 1938. There was a real feel-good factor running through the streets of Trinidad ever since that special evening in Bahrain and it continued right up until the World Cup’s finish. 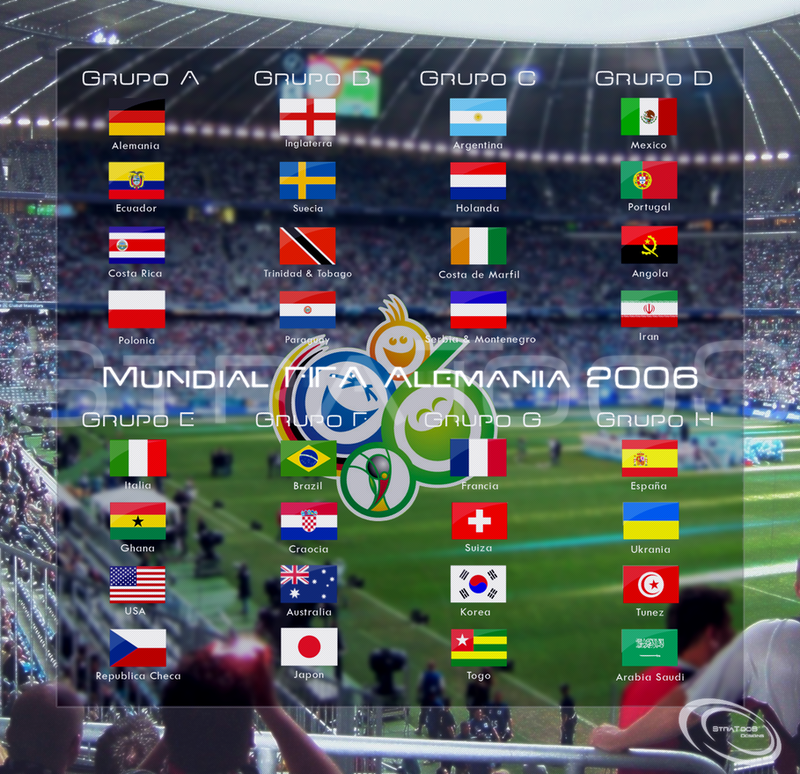 In December 2005, a month after the play-off, the official group draw was made by FIFA. Trinidad were drawn into Group B alongside England, Sweden and Paraguay with the team’s matches played in Dortmund, Nuremburg and Kaiserslautern. In truth every group would have been tough for Trinidad but instead of approaching it with trepidation, they relished the opportunity of locking horns with such illustrious opponents. The team opened their account against Sweden at Signal Iduna Park, Dortmund. 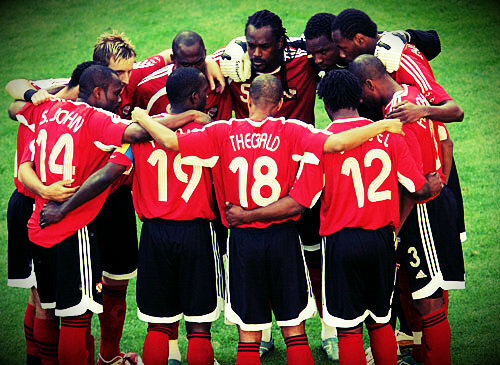 It was in this game that Trinidad really earned some international respect and credit given their valiant, never-say-die attitude, most exemplified by the skipper Yorke and goalkeeper Hislop. The latter’s performance was particularly noteworthy considering the story behind his inclusion in the starting line-up, as Hislop explains to us: “Kelvin Jack (the usual number one) was ruled out. I got the call from coach Beenhaker 10 minutes before kickoff. At that point there wasn’t time for much of anything. Which probably suited me perfectly. In at the deep end, sink or swim time. I just did a bit of handling with the goalkeeper coach, Michael Maurice, and decided that I’d get my eye in, my timing, during the game. I knew I had a few nervy moments early on as a result, but I was fine with that. I knew that as the game went on the better I’d get. Which is exactly what happened.” Hislop was on top form that day and produced some magnificent saves to thwart the Swedish players, but in truth the whole team functioned as a unit and they dug in deep to yield a point. Yorke was used in a deeper role than he was accustomed to at Manchester United because of his age, he had lost some of his speed. He partnered Birchall in the middle with John leading the line and it was Yorke’s tireless work ethic and communicative qualities which had an enormous effect on the final result. Asked about Yorke’s role as captain and how well he thought he perfomed, Lasana told us: “Dwight Yorke was a fantastic captain. Much is made of his love for the night life but he is also a very hard worker and a good trainer and he set the tone for the squad. It is great to have a player who has experienced football at the highest level and is unfazed by anything while he also brought his technique and intelligence to the squad. So, Yorke was the talisman for the squad.” There were smiles and hugs at full-time as Sweden’s players trudged off the pitch while the Soca Warriors absorbed the atmosphere and celebrated with their fans. This was by no stretch of the imagination job done, but it was an excellent platform on which to build on for the next outing against England in Nuremburg. Trinidad once again performed admirably and put in a real shift, restricting England to many shots on goal. Hislop earned another start in between the sticks, while Carlos Edwards moved down into right-back to accommodate Birchall wide right, with Aurtis Whitley operating alongside Yorke in the centre. Kenwyne Jones, then a fresh-faced 21-year-old playing for Southampton at club level, started up top with John. 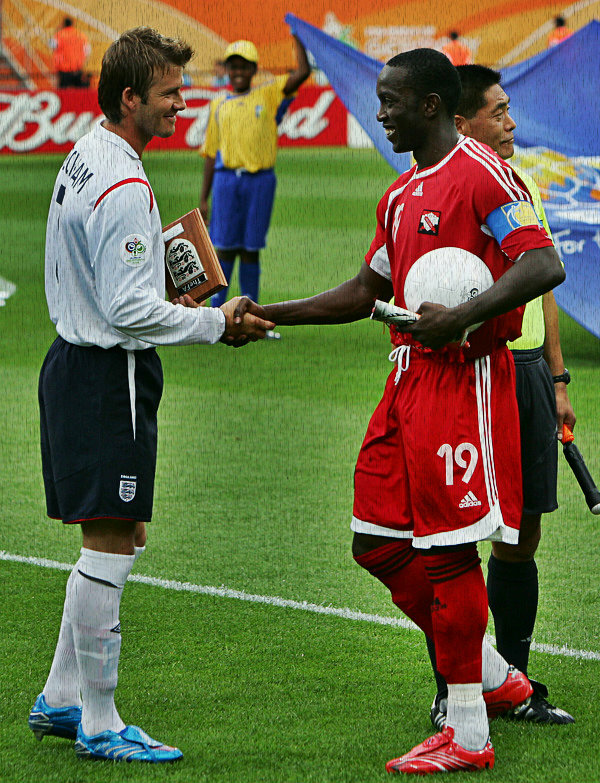 England boasted star names such as Rio Ferdinand, Ashley Cole, Frank Lampard and David Beckham. But Trinidad showed plenty of fight and resolve all the way up until the 83rd minute when Peter Crouch climbed on top of Brent Sancho to head past Hislop. There were claims that Crouch had fouled Sancho but the referee waved away any protests. Then, in the dying minutes, Steven Gerrard scored a great goal from long range to seal the win. It was a brutal way to lose for Trinidad given how well they’d fared for so long in the match. They knew that any chance of progressing into the knockout phase had now diminished. The cigar-smoking Dutchman has had a profound effect on Trinidadian football since his appointment as national manager in April 2005. At that time, the Soca Warriors were flagging behind in WCQ and they needed an injection of something to get them going. 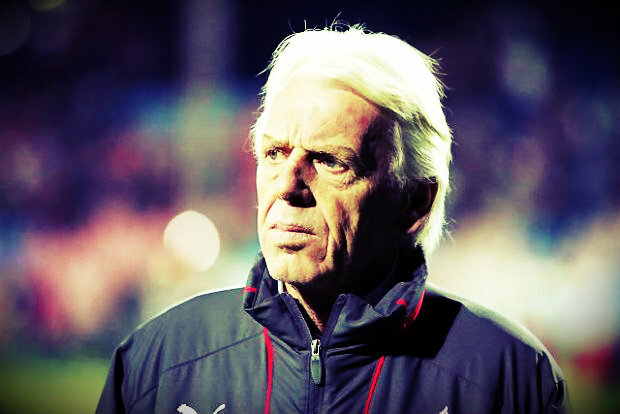 Beenhakker, who has also managed the likes of Ajax, Feyenoord and Real Madrid, arrived with intent and purpose and soon the team started to climb up the standings. Under his guidance, they picked began to pick up points and they did enough to qualify for that play-off showdown, which of course they went onto win. Beenhakker told the press following the 0-1 result away to Bahrain: “When you work in football for over 40 years, then you’ve already had the chance to experience various highlights. That today was definitely one of them.” He brought a sense of organisation and structure to the national setup which made such a massive difference. He had a plan and he executed it with the everyone involved on his side. Now, Beenhakker is the Trinidad team’s technical director as he oversees the development of the national football programme, assisting manager Stephen Hart. It’s fair to say Beenhakker has left an indelible mark on the game in the country and for that, he will always be seen as a significant figure. This is something which continues to rumble on. Thank you for reading! Feel free to leave any constructive feedback in the comments box below. Big up to Shaka and Lasana for their time and input. Meanwhile, you can get in touch with me on Twitter, Facebook and Instagram.